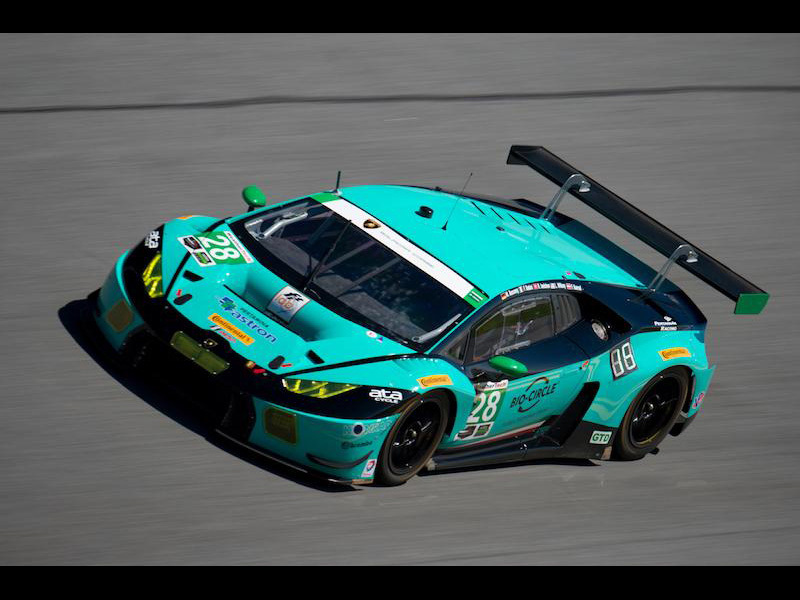 The first 24 Hours at Daytona in the history of Lamborghini ended positively, despite not ending the race with the results that were hoped for the Huracán GTDs lined up on the track. Four out of the five cars entered in the GT Daytona (GTD) class in the endurance race at Daytona International Raceway in Daytona Beach, Florida, finished the race without showing any technical problems throughout the entire 24 hours of racing, while the fifth was forced to retire after contact. The Lamborghini Huracán GTD showed on the prestigious stage that it is a fast and reliable car and is able to compete at a high level on the GT scene worldwide. The four teams that competed in the race each had the opportunity to lead the GTD class and even came close to earning the class victory until a few laps from the end. Severe penalties and aggressive race strategies, however, compromised the final result throughout the race, in particular the final laps of the race. Until that point the race seemed to be completely in favor of Lamborghini Squadra Corse.